Like its predecessor Avatar: The Last Airbender, Nickelodeon’s The Legend of Korra will continue in the form of a comic book series published by Dark Horse Comics. The series will be written by series co-creator Michael Dante DiMartino. On Friday, October 9 at this year’s New York Comic Con it was announced that Brittney Williams will take on art duties. In addition to The Legend of Korra, Williams was recently hired to do Marvel’s upcoming series Patsy Walker, a.k.a. Hellcat. Korra fans at New York Comic Con were able to attend a ticketed signing at the Dark Horse Comics booth on Sunday October 11, where they were able to snag a signed poster showcasing Brittney Williams’ art for Korra’s upcoming comic book debut. Check it out below. 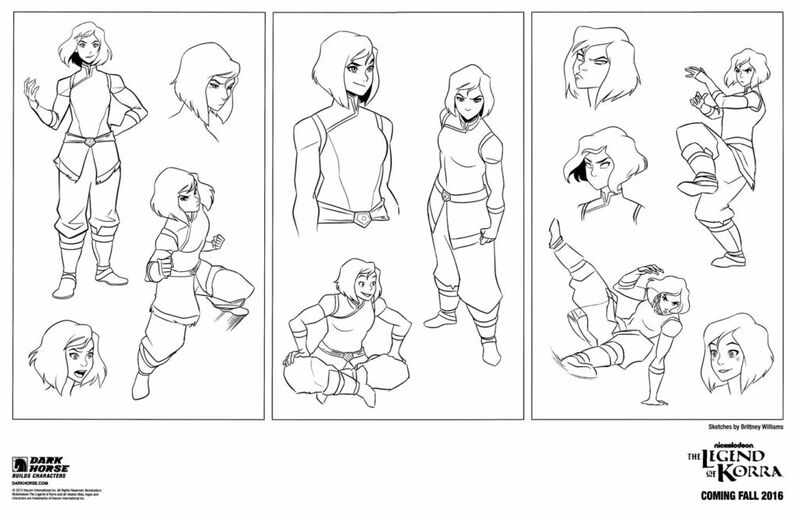 That certainly looks like the Korra we all know and love. Williams seems like a perfect fit for the series. Unfortunately, we’ll have to wait until Fall 2016 to get the first book in our hands.